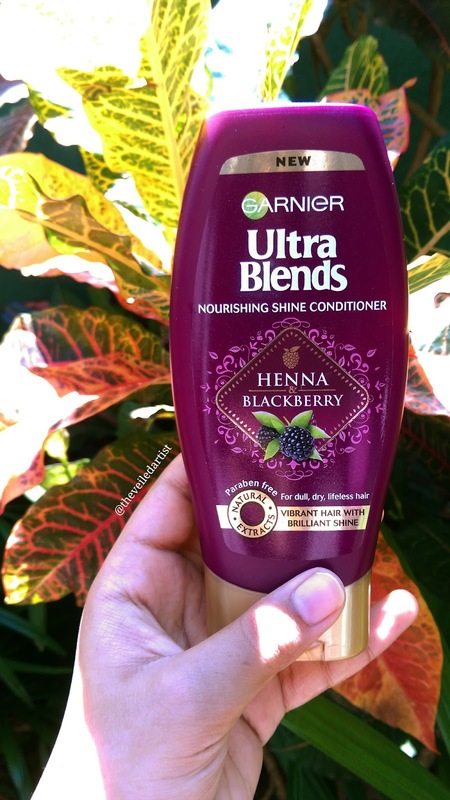 Over the past month, I have been trying two products from the Garnier Ultra Blends Range and today I will be reviewing the Ultra Blends Henna & Blackberry Nourishing Shine Conditioner. 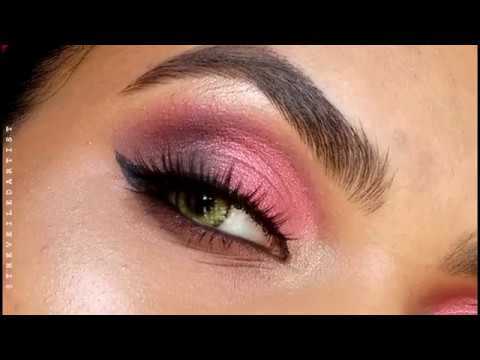 If your hair is dull and lacks shine it might be lacking nourishment. 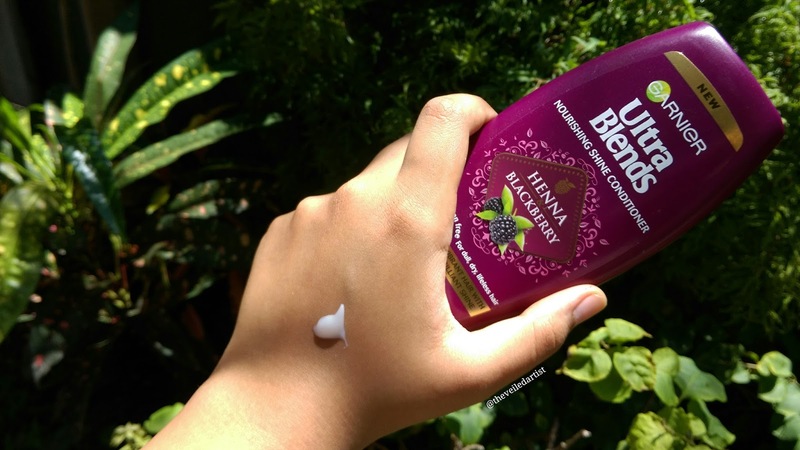 Our formula, a blend with Henna & Blackberry, not only nourishes your hair but also gives your hair incredible shine. Discover hair that is nourished, vibrant and shiny with every wash. 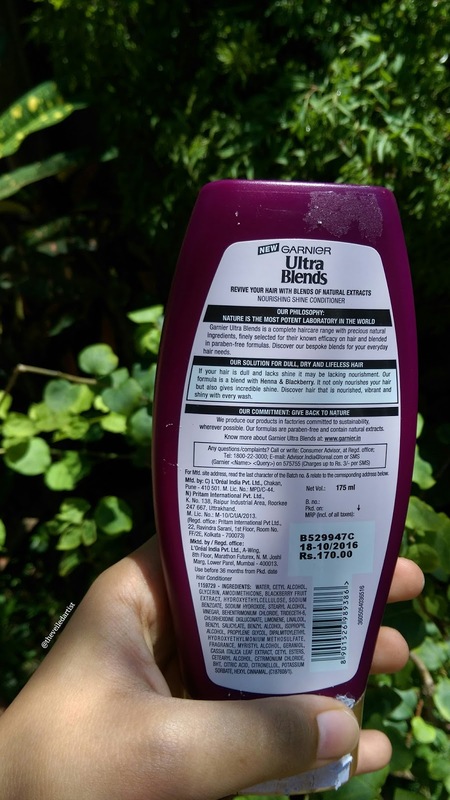 This retails at 720LKR($4.8) for 175mls of product in local supermarkets and beauty supply stores here in Sri Lanka. You will run out of this product quite fast if you have a lot of hair like me. Also, don't be fooled by the Rs.170 you see on the back haha that's the price of this product in India. It comes in an attractive plastic pretty maroon-purple-ish squeeze bottle. The first thing I should mention is the fragrance. OH LORD! It is insanely strong. I'm not usually overly sensitive to fragrance in beauty products and I have never gotten a headache when I'm around strong fragrances, but the first time I used this product, I thought I was going to choke to death. In my own bathroom! haha and no one would know how I died. The scent of this conditioner is quite heavy and musky and it lasts on your hair for days. This is definitely something you should consider before purchasing this. The scent even stays on my pillow! The fragrance however was my only complaint. It is otherwise, a wonderful product. The conditioner is quite thick and super moisturizing but washes off quite easily. And my hair stays moisturized and shiny for days!! Which has never happened before. And since it doesn't leave any greasy or heavy feeling, I feel like this conditioner would work well with finer hair types as well. Click here to read a little bit about my hair type and also learn my unusual tips to growing long hair! I recommend you take a sniff of it, if you can, before you buy this. And if you like the scent, by all means go for it! It's a great conditioner. 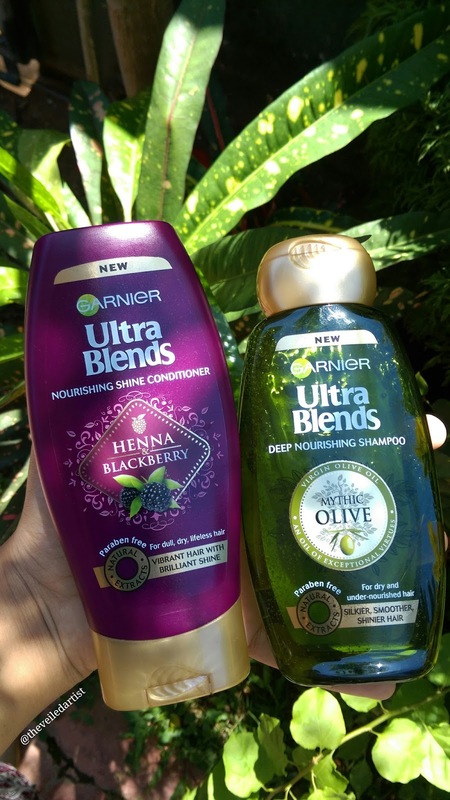 I will not repurchase this but will definitely try different conditioners from the range!